Disclaimer: This article was written by Underwater Audio. The information presented is that to the best of our knowledge of both our company and others. Purchasing new electronics can seem like a daunting task. There are a lot of options out there and you want to make sure to get your money’s worth. 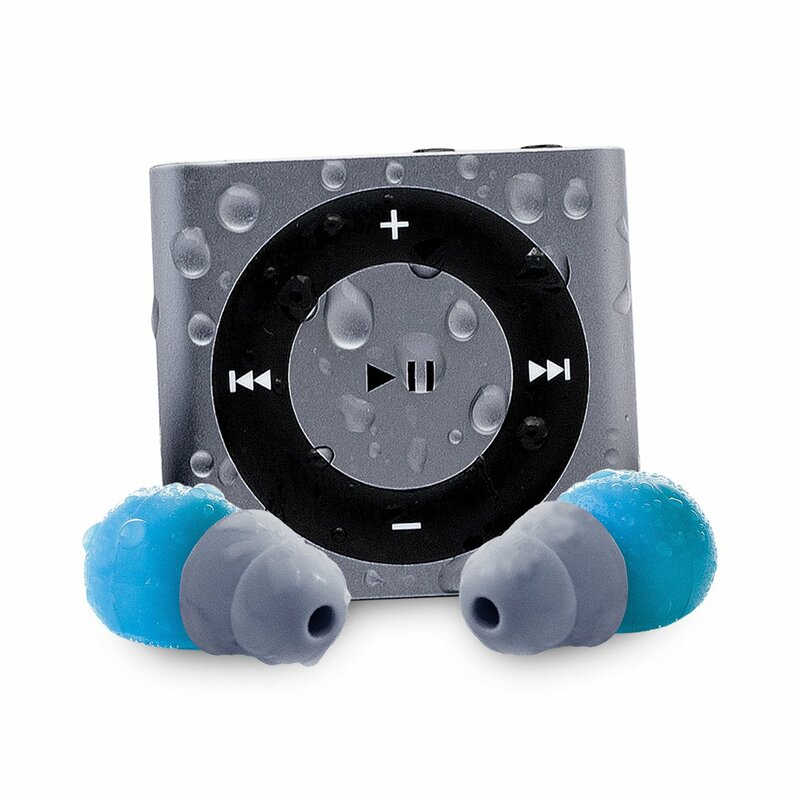 Only small number of companies offer a waterproofed iPod Shuffle. In order to make your purchasing process easier, here is a comparison between Underwater Audio and Waterfi when it comes to products, warranties, reviews and customer service. 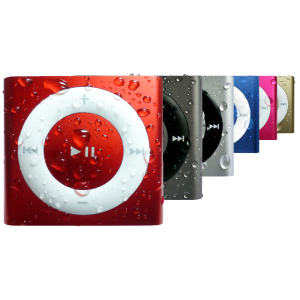 Though the waterproof iPod shuffle is a main product for both Underwater Audio and Waterfi, there are a few differences in the pricing, accessory products and bonus items included in the purchase. One of the main questions our customers ask is what the difference between our waterproofing process is vs those of our competitors. Underwater Audio uses an innovative, proprietary waterproofing process that ultimately lasts the longest. In previous years, Waterfi would take the iPod apart to waterproof it before reassembling it. This process causes a shorter life for the iPod because of the micro damage done to electronics when opened and tampered with. 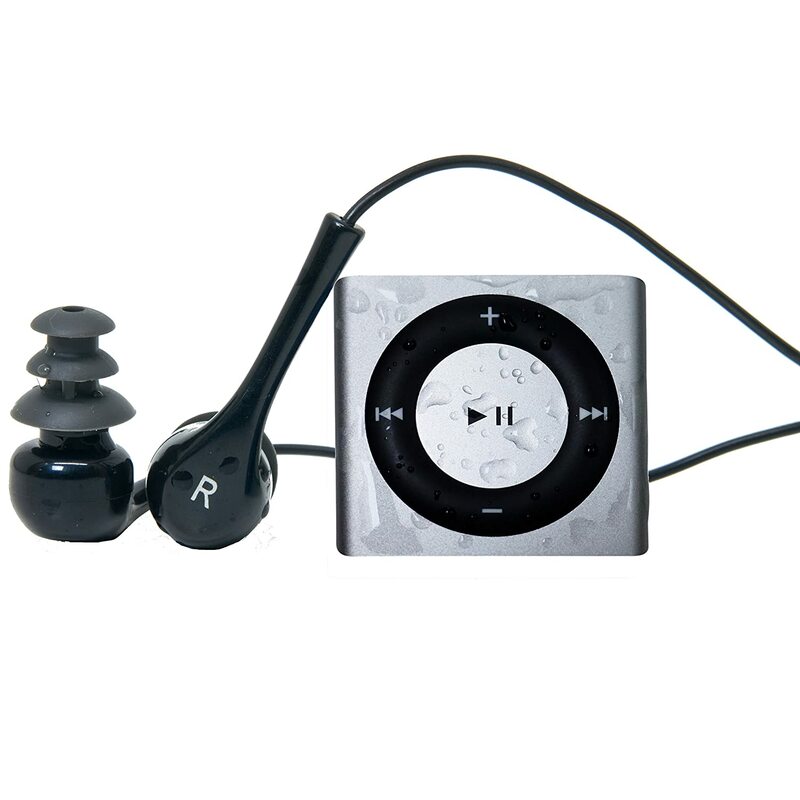 2 years after we launched our innovative waterproofing process, Waterfi stopped opening their iPods to waterproof, and began using a partial proprietary process as well. Waterproof headphones are necessary to listen to a waterproofed iPod. Both companies sell these, either along with an iPod or separately. Underwater Audio is always working to come out with new and improved headphones for various water activities (check out HydroActives for swimming and watersports). Our 2 newer pairs of headphones include 4 different types of earbuds, and different sizes to ensure a perfect watertight seal. Both Underwater Audio and Waterfi have short cord headphones to eliminate hassle, and though the blue color of Waterfi’s headphones is eye-catching, the earbuds tend to slide out more and do not work to create that water tight seal. 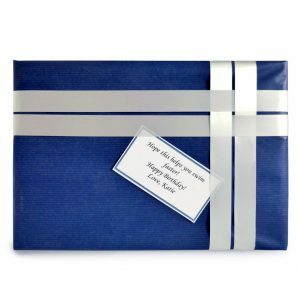 Who doesn’t love a little something extra when receiving an order? If your order from their website includes an iPod, Underwater Audio includes a few things. Rebecca Soni & Michael Poole Workout Tracks: With your order confirmation you will receive various workout tracks from Olympic Gold Medalist Rebecca Soni and Professional Triathlete, Michael Poole. These are very easy to download and will enhance your training! Custom Engraving and Gift Wrapping (US only): If you want to make your iPod a little more personal for you or a loved one, there’s an option at checkout to engrave the back of the iPod with any words of your choice (14 characters or less). If the iPod is a gift, the package can be gift wrapped and sent with a message. Warranty isn’t always the first thing we think of while buying a new product, but When you purchase something that’s meant to last, there’s more peace of mind knowing that it can be replaced if it breaks for whatever reason. When looking for electronics specifically, the search isn’t over until you read the reviews. The amount of reviews and what they say, can determine a lot about a product and the company that produces it. Most of the reviews for both Underwater Audio and Waterfi are on Amazon, a big selling platform for the two. Amazon customers can rate products in a star system from 1-5. Along with the rating they can leave reviews for other customers to view. In the chart below we can see that the single waterproof iPod shuffle for Underwater Audio currently has 4.5 stars on Amazon compared to Waterfi’s 3.8 stars, and that the amount of reviews Underwater Audio has is more than double the amount that Waterfi has. You will be greeted by a pleasant team of employees with both Underwater Audio and Waterfi through phone or email. Aside from their lasting products, however, Underwater Audio’s customer service team is one of the most reviewed aspects of the company. They work with individuals to solve problems case by case. Longer hours also allow customers to reach Underwater Audio by phone more often. They are open Mon-Fri 8-5 while Waterfi is open Mon-Fri 9-4. Hopefully this helps you make a more informed decision when in the market for a waterproof music. If you still have questions, you can always call Underwater Audio or Waterfi and ask!